Pop-up bars and restaurants are all the rage with hipsters at the moment, which is generally reason enough to wholly ignore them. This one that I’ve seen floating about on the internet for the past few days though is one worthy of attention, as it combines two of our greatest loves; beer and games. Called Barcade, it brings together the fantastic union of overpriced alcohol and under-priced arcade games. Opening at the Alexander Theatre in old JHB’s Braamfontein on September 26, the bar will only be there for 3 months before its gone, moving to some other part of the country where hipsters are likely to gather, or disappearing in to the ether completely. It’ll play host to 10 arcade machines that are likely illegally hosting unlicensed roms. That’s okay though because you’ll be able to play all of them for gratis, getting your nostalgia on in games like Bubble Bobble, Street Fighter II, Mortal Kombat and Pac-Man. Food, in the form of US-centric bar snacks, will be supplied by the folks from market favourites Taylor’s Good Food which you may have never heard of unless you have a waxed moustache, ride a bicycle and own a vintage tweed jacket. Still, seems like a good time; good games, good food and good booze. We got wind of this from two popular local blogs, who seem to have received the same press release and a thesaurus. 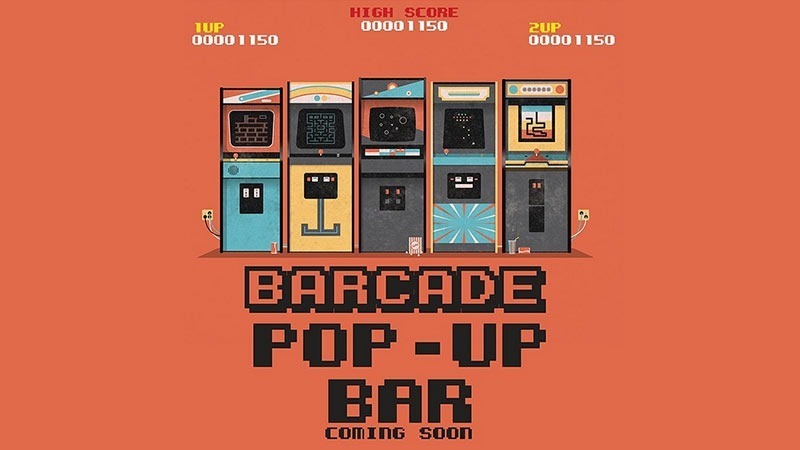 Barcade is a new pop-up bar and video game arcade with a focus on retro games, craft beer, premium drinks and classic American bar food that is scheduled to open at the end of September. The pop up is set to call Braamfontein in Jozi home for around 3 months and is something that most people are probably going to really enjoy, considering that it combines pretty much everything that was good from the 1980?s into one new, shiny package. Barcade is a new pop-up bar and video game arcade in Johannesburg, that concentrates on retro games, craft beer, premium beverages and fantastic American bar food. The pop-up bar will be situated in Braamfontein for about 3 months, and is something that most individuals are likely going to truly delight in, considering that it joins about everything that was great from the 1980?s into one new, glossy bundle.